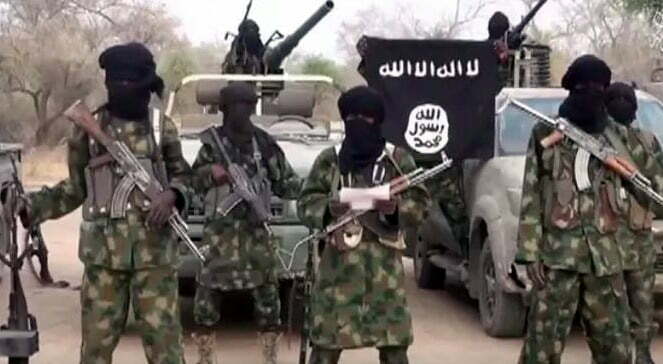 The Universal Watch Network has alerted Nigerians to be wary of a recently-launched ‘Terrorists Politically-aided Propaganda’ (TP2), which is meant to advance the cause of the terrorists that have been disturbing the peace of Nigeria. The United State-based agency claimed the propaganda first surfaced as a report by Washington-based group, International Strategic Studies Association (ISSA), in the United States, which has now been repeated by many indigenous media organizations in Nigeria as intended by the originators of the report. Dr. Roberts Gordon, Vice President, Political Affairs in an electronic release on Monday, observed that a deeper look at the document, however, revealed it to be a treatise that is filled with rehashed information, innuendos, half-truths and outright lies. According to Gordon, “The report pushed the lie that the Nigerian government has lost the control in engaging Boko Haram while the country’s intelligence community is no longer sure of what faction of the terrorist group it is fighting. Nothing can be further from the truth since Boko Haram has not been able to achieve what its foreign sponsors had intended for it to achieve in Nigeria. “Nigeria is no stranger to doomsday reports like the one issued by ISSA. The United States National Intelligence Council once issued a report that Nigeria will not exist beyond 2015 as it would disintegrate into smaller enclave states along ethno-geographic fault lines. “Even when much was done to destabilize Nigeria to achieve this evil objective, the political maturity that produced the government of President Muhammadu Buhari in the same year and the patriotic disposition of his administration with a committed Nigerian Armed Forces frustrated the projection of Nigeria’s demise. “It is most unfortunate and condemnable that the authors of this most recent report sat in meeting rooms of some plush hotels, far away from Nigeria, to insinuate that instances of random crimes that led to the deaths of highly placed Nigerians were masterminded by the state or its agencies. “We know for a certainty that neither ISSA nor its allies could have gotten away with such criminal claims here in their own country of origin. The conjectures presented as definite facts by ISSA could have been ignored as the product of ignorance steeped in imperial arrogance but the political connections they brought into their propaganda has exposed this organization as being propelled by an inordinate goal to achieve regime change. “This is a reality that was corroborated by the similarity in the language style adopted in the report and the one in use by the main opposition in Nigeria in addition to parroting the position of opposition elements. Attempts at regime change that jeopardizes the safety of citizens is totally unacceptable and have no place in this age after the fiasco resulting from many such enterprise in other countries. “We challenge ISSA to publish an objective report that acknowledges the role being played by western powers in arming, training and funding Boko Haram and its variants in Nigeria. We further task the group to fair disclosure on the nature of its relationship with the main opposition in Nigeria while also revealing the source of its funding. A failure to do these would confirm our assertion that ISSA is a terrorists supporting group hiding behind the garb of respectability and international label. “In the meantime, we are alerting Nigerians to beware of ‘Terrorists Politically- aided Propaganda (TP2) like the ISSA report, which is calculated to do damage to the country. We envisage that more of such reports will be released in the coming days and they bound to become tools in the hands of politicians that will cite such report to vote against a government that has laid the foundation to giving Nigeria back to Nigerians as is the norm in other democracies.